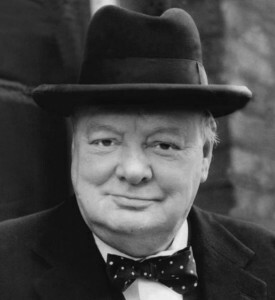 Winston Churchill can help your business to boost its profits. Yes, you read that right. 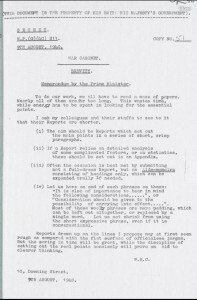 The former UK prime minister Winston Churchill certainly made his mark during his lifetime and his advice to the British war cabinet in 1940 is still relevant today. He advised government employees to weed out jargon from their reports and to write clear, crisp sentences – guiding principles that have been proven to get your message across more effectively and increase profits. “To do our work, we all have to read a mass of papers. Nearly all of them are far too long. This wastes time, while energy has to be spent in looking for the essential points. “I ask my colleagues and their staffs to see to it that their reports are shorter. If the report relies on detailed analysis of some complicated factors, or on statistics, these should be set out in an appendix. Often the occasion is best met by submitting not a full-dress report, but an aide memoire consisting of headings only, which can be expanded orally if needed. If you need help to put Winston Churchill’s advice into action in your business, Clear Ink can help. We’re a global brand communications agency based in Dublin that can make your reports pass the Winston Churchill test. To find out more, get in touch with Clear Ink’s CEO, Margaret, at margaret@clearink.ie. Posted on May 31, 2016 by ClearInk Manager.